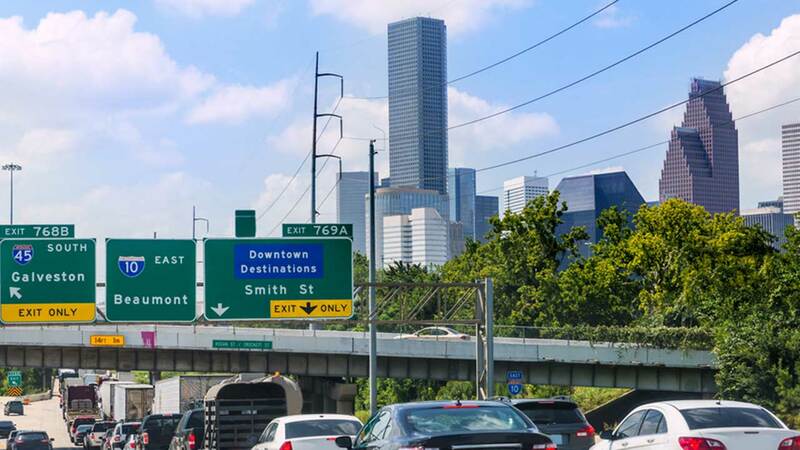 Houston drivers have fourth worst commute in U.S.
HOUSTON (KTRK) -- The worst traffic in America belongs to Los Angeles. Drivers there spend 81 hours stuck in traffic each year, according to a new study. But Houston might be higher on the list than you may think. We're No. 4, according to the survey released by Inrix. We spend an average of 74 hours each year going nowhere. Here is the rest of the top 5.